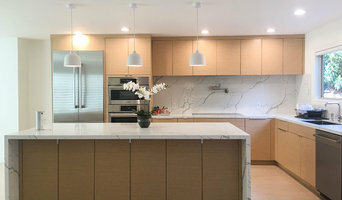 ARTEZIA kitchen design / european cabinetry is a San Francisco Bay Area based interior design and custom cabinetry firm specializing in high end kitchen design and builds. For over 34 years, KB Cabinets has helped homeowners transform their new and existing homes with an outstanding selection of kitchen and bath cabinetry. At RYZUP, every kitchen remodel project begins with careful design and an exact floor plan to help you visualize your new kitchen with the best material selections we have to offer. American Kitchen Company specializes in building dream kitchens at competitive prices! Our team of professionals complete the quality of work you expect, in a timeline that’s unexpected. Guaranteed! We are an independent, family-run kitchen & bathroom design specialist, offering creative design solutions to customize the aesthetics of your kitchen & bathrooms. Visit our showroom in San Carlos! 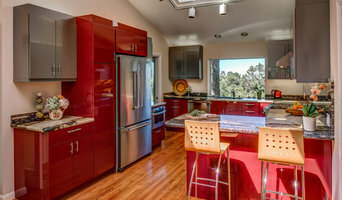 Cabinets & Beyond Design Studio is an award-winning San Francisco & San Mateo-based kitchen and bath cabinets dealer. We are dedicated to providing you with the most personalized service & experience. Build Anything, Customize Everything! Great design, superior products, and expert service. Environmentally conscious with a strong emphasis on sustainability, we will transform your space , enhance your lifestyle and spoil you with choices. By keeping a close eye on current architectural and design trends, we can be sure that we continue to bring you the best in contemporary kitchen style. Added to this, we also strive to offer the latest in technology twinned with other innovations such as smart storage. 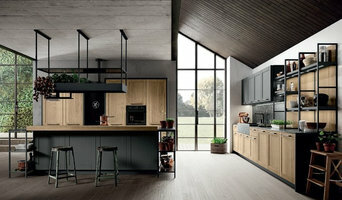 The result is a range of kitchens that lead the way in both form and features. So when you’re looking for today’s most modern kitchens, you know where to come. Melinamade is a Full Service, Certified Interior Design firm working in residential and commercial tenant-improvement projects. Whether designing a single room or a whole home, new construction or historic remodel, we relish working in Sonoma County. Our work is inspired by the needs and personalities of our diverse clientele. Achieving flawlessly functional and attractive kitchen and bath design in Broadmoor, CA requires a professional who specializes in these spaces. Not only do these rooms see the most action of the house, but they require the most planning and attention to detail. When designing them, a bath and kitchen designer must keep a strong focus on the homeowner's wants and needs while also considering things like potential resale value. Read the tips below to learn how to choose the perfect Broadmoor kitchen and bathroom design professional for your home project. What does a Broadmoor kitchen designer or bathroom designer do? A kitchen and bath design professional in Broadmoor, CA knows to take all of these crucial points into consideration and can help plan the layout, materials and overall look and feel of either of these rooms in your home. Kitchen designers, as well as bathroom designers, are constantly staying on top of trends in the ever-changing industry. The designer also knows the best layout for your room, and can configure the layout for optimal functionality and utilization of the space. In the kitchen the refrigerator, stove and sink should be laid out in relation to one another, and it should be seamless and easy to move from one to the other. A Broadmoor kitchen and bath designer will know how to work with a contractor and architect to plan the flow of the room to work best for your needs. Here are some related professionals and vendors to complement the work of kitchen & bath designers: Kitchen & Bath Fixtures, Appliances, Tile, Stone & Countertops, Cabinets & Cabinetry, Woodworkers & Carpenters. Before you talk to bath and kitchen designers in Broadmoor, CA, consider how you will use the room. For your bathroom, is it necessary to have a bathtub for bathing kids or pets, or would a shower suffice? Perhaps all you need is a half bath for downstairs or a smaller guest bath for occasional use. Similarly, for kitchen renovations consider your cooking habits. Do you eat out every night but need a space to entertain in? If so, a smaller kitchen might be fine for you, with a space devoted to wine storage or a bar, whereas others might prefer a bigger stove or extra cabinets. When interviewing Broadmoor kitchen and bath designers, make sure to share these habits so they can best fit the room to suit your needs. 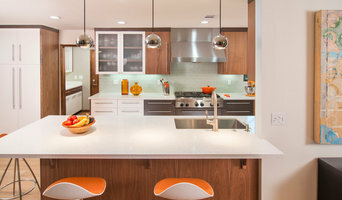 Find a Broadmoor kitchen designer or bathroom designer on Houzz. Narrow your search in the Professionals section of the website to Broadmoor, CA kitchen and bath designers. You can also look through photos in Broadmoor, CA to find a kitchen or bathroom you like, then contact the professional who designed it.